Top quality Unmetered servers - Rock Bottom Prices. 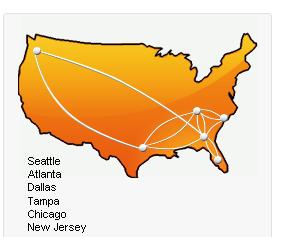 1GBps Unmetered servers starting from $260 per month. performance, and reliability for critical applications. Never worry about losing data again. With our 24x7x365 Priority Managed Support will give you the peace of mind you need to focus on other aspects of your business! maxDedicated offers the 100% Uptime Guaranteed Dedicated Servers, Unmetered Dedicated servers, Unlimited Bandwidth Managed Servers, Windows Dedicated Servers, Linux Dedicated Servers; Cpanel Dedicated Servers;, WHM, PLESK Dedicated Servers; FreeBSD; CentOS; Ubuntu; MS SQL Email Servers, cloud Servers and Unlimited reseller hosting services available. Configurations can be customized to meet your specific needs. With a Maxdedicated dedicated server; you know exactly what is installed and running on your server;, who is accessing that server and the level of traffic that your server is experiencing. In addition; you know you can rest assured that your server is being maintained by the best technicians available. You can have a Dedicated Server up and running for as little as $59. So why wait signup now!! 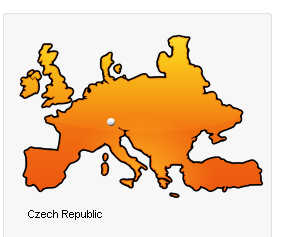 Our data centers located in USA(Seattle, Atlanta, Dallas, Tampa, Chicago and New Jersey ) and in Europe (Czech Republic). Linux and Windows Dedicated Server managed plans are ideal for small to mid-sized businesses that need assistance. Get your head in the cloud Server. We are specialized in high bandwidth gaming dedicated servers, minecraft server, unmetered dedicated servers. If you are looking for high traffic, streaming, minecraft servers unmetered dedicated server, MaxDedicated is your right choice.